Well, I did not get to blog about the various architectures and other interesting topics about New York City this week, but plan to visit these topics on my next visit here. 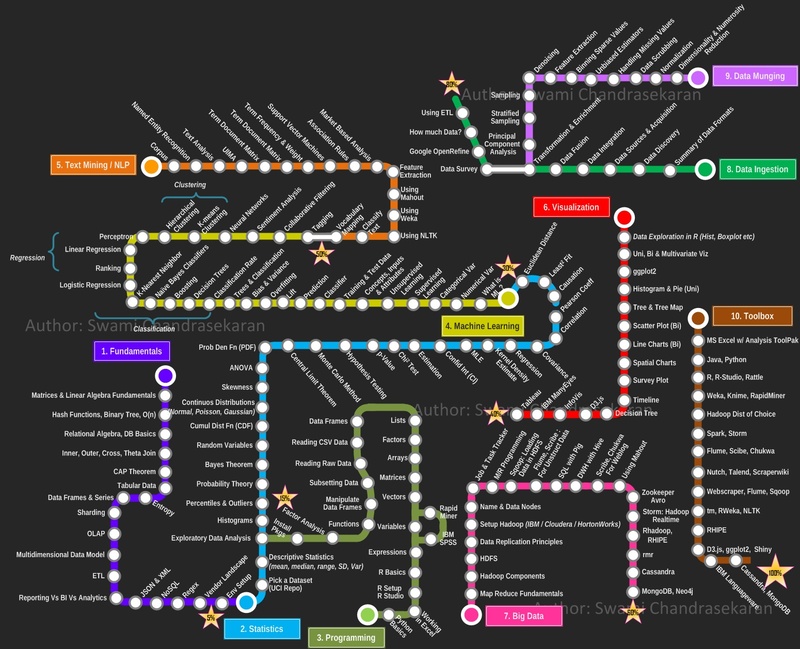 I was thumbing through Twitter and came across this Data Science Central blog by Michael Walker about The Professionalization of Data Science. I was particularly interested in the Henry Beck-style infographic created by Swami Chandrasekaran that was used in the blog. It follows similar patterns that Beck used in his design of the London Underground Tube Map. I though it was quite clever and well thought out. I have included Mr. Chandrasekaran’s diagram below as well as a link to Mr. Walker’s blog.